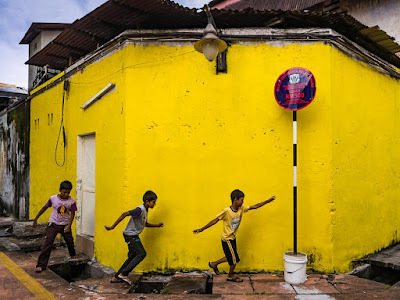 Boys play in an alley in the Little India neighborhood of Penang. 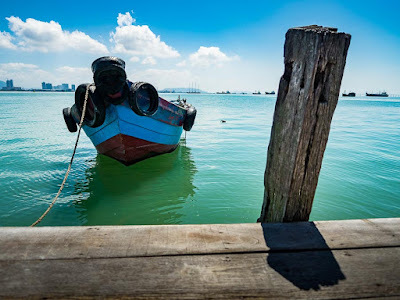 I had to make a quick run to George Town (also spelled Georgetown) in the Malaysian state of Penang this week to take care of some paperwork. 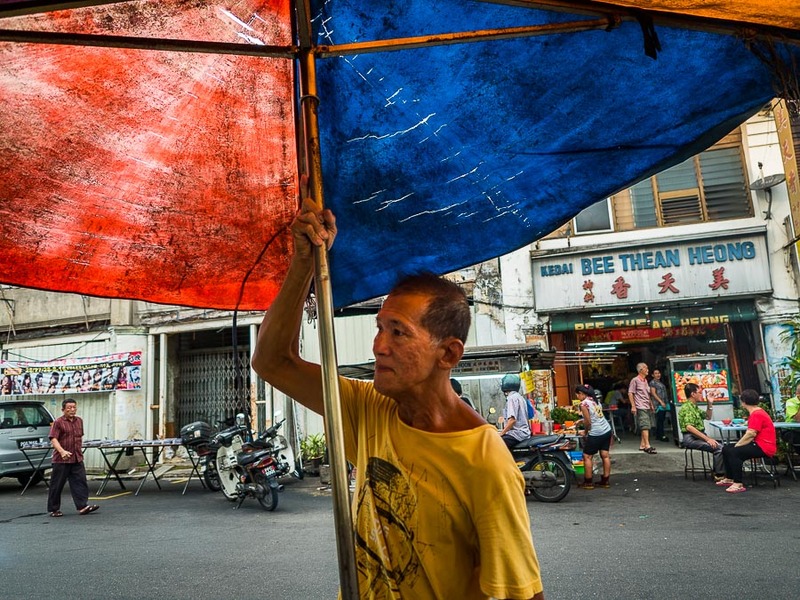 George Town is a charming town of 700,000 people (although it feels much smaller) on the island of Penang. It's at the northern end of Malaysia, opposite Butterworth, on the Malaysian mainland. The train and bus lines that connect to Thailand and go on to Kuala Lumpur pass through Butterworth; the ferries that connect George Town to Butterworth stop at the Butterworth bus / train depot. A small boat tied to a jetty in George Town. Butterworth is the opposite shore. George Town is a very diverse city with a thriving Indian Hindu community, a large Chinese Taoist/Buddhist community, a number of Rohingya Burmese Muslims (who mostly live without documents and keep a low profile), and of course, a native Malay Muslims. There's also a smattering of Thais (who come for business reasons) and Cambodians (like the Rohingya, refugees from violence at home). 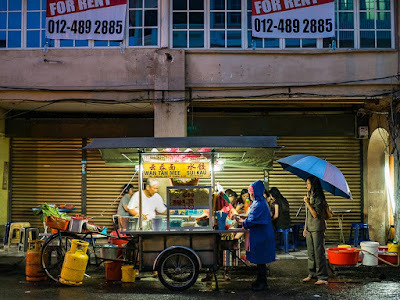 A noodle cart on Chulia Street in George Town. This makes George Town a really interesting place to visit. The downtown area is compact enough that you can walk everywhere. There are Hindu temples, Chinese temples, and Muslim mosques on almost every block. There are Chinese and Indian restaurants everywhere and street food carts in between the restaurants. A vendor sets up his street food stall on Kimberly Street. If you want to go further afield, for example up to the Kek Lok Si Chinese temple or out to the Thai consulate, taxis and buses are plentiful and inexpensive. This was a very quick trip to George Town. I was only there for three days - just long enough to take care of my paperwork, but it's a thoroughly enjoyable town and I look forward to my next visit. 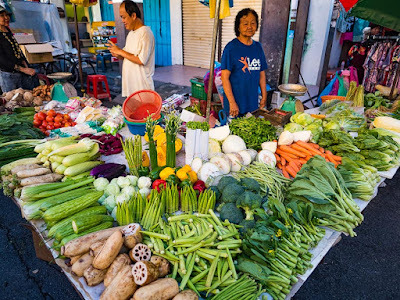 Fresh produce in a George Town street market. The historic market on Kimberly Street. 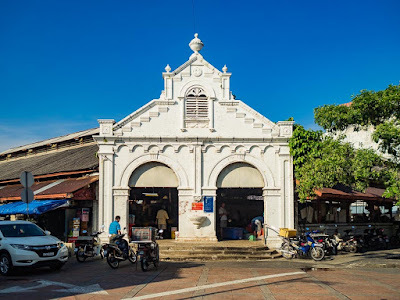 This market is beautifully preserved but not very busy anymore. 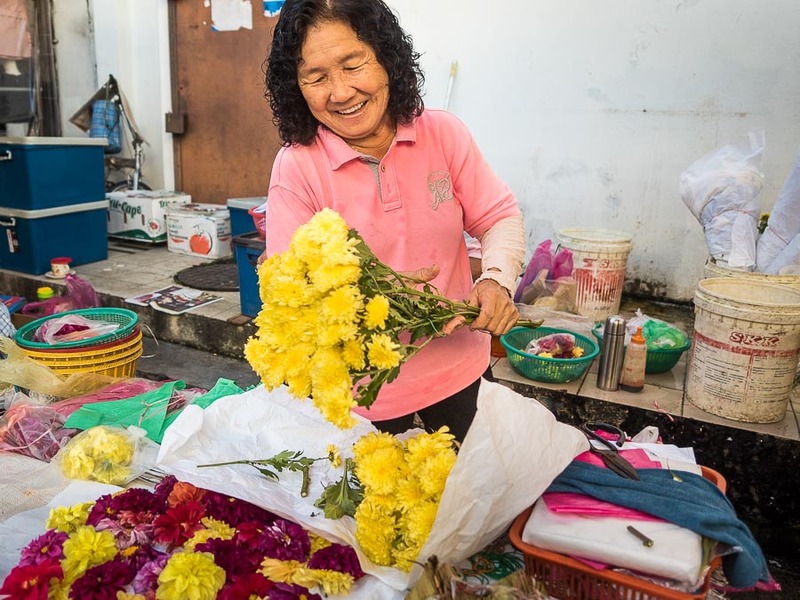 A flower vendor in a George Town market. 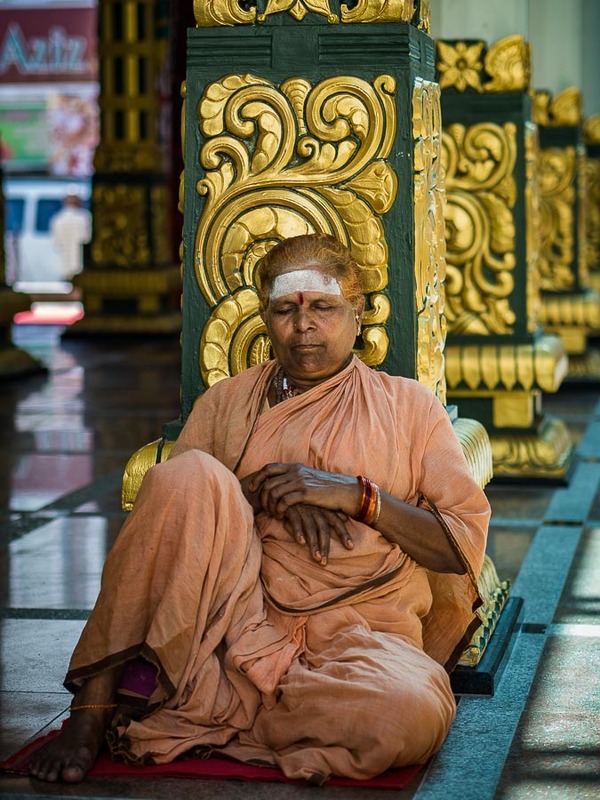 In a Hindu temple in George Town. There are more photos of George Town and Penang in my archive.